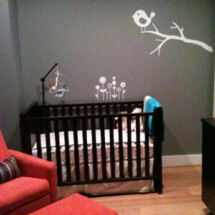 Welcome to our gallery of adorable baby boy nursery photos that have been shared with us by parents who visit our little spot on the web. 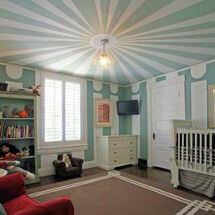 We take pride in offering fathers and mothers-to-be examples of the most stylish and attractive nursery themes, color schemes and decorating styles that will make the task of designing a room for a baby boy easy, enjoyable and yes, affordable. 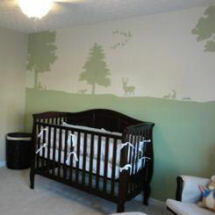 You may find a few of the pictures in the gallery to be a little darker than it should be and there are times when the camera was slightly out of focus making the image a little blurred or fuzzy around the edges but if you visit the original nursery page there is still lots of information that parents find to be very helpful in choosing the best wall paint color, baby bedding set or nursery furniture collection. 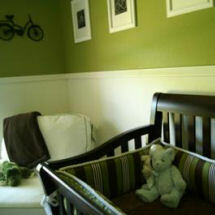 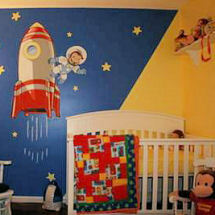 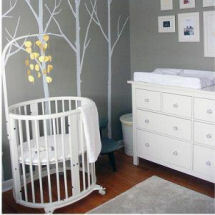 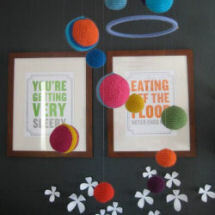 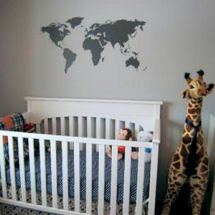 The baby boy nursery photos are not studio quality images taken by expensive professional photographers; they are better! 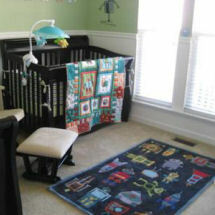 The pictures that you see here were taken by real, loving parents who decorated the rooms themselves often making everything themselves from wall shelves to the crib set and curtains! 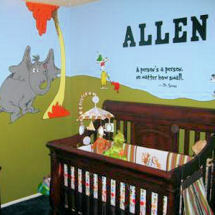 I hope that you enjoyed this page of Baby Boy Nursery Photos and that when your nursery has been decorated that you will visit Unique Baby Gear Ideas again and consider sharing your own pictures as a contribution to our growing community.